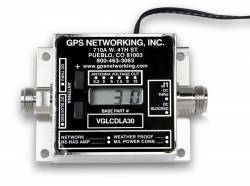 GPS Networking, headquartered in Pueblo West, Colorado, has announced that it now offers electro-magnetic interference (EMI) shielding on its GPS/GNSS Splitters. GPS Networking now offers an EMI shielded splitter that has met the requirements set forth in MIL-STD 461F. "We at GPS Networking are proud to include EMI shielding as another choice for our customers to find the best quality splitter with all the options necessary for their individual projects," says O’Halloran.